Roads around Himachal's Kinnaur district and the towns in upper Shimla remained closed on the fourth day, a government official said. Himachal Pradesh witnessed more snow on Friday, hampering the movement of vehicles on the roads. Roads around Himachal's Kinnaur district and the towns in upper Shimla remained closed on the fourth day, a government official said. Shimla's Met office has predicted light snowfall and rain in Himachal Pradesh till Saturday. 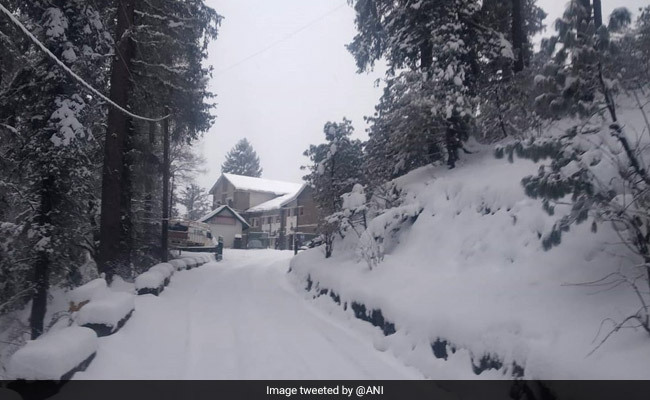 "Shimla and its nearby areas have been experiencing snowfall since early Friday," a an official of the Meteorological Department told news agency IANS. Himachal's Kufri and Narkanda have also been experiencing snowfall, turning the hills even more picturesque. Manali and Dalhousie, too, have been experiencing snow for the past four days. 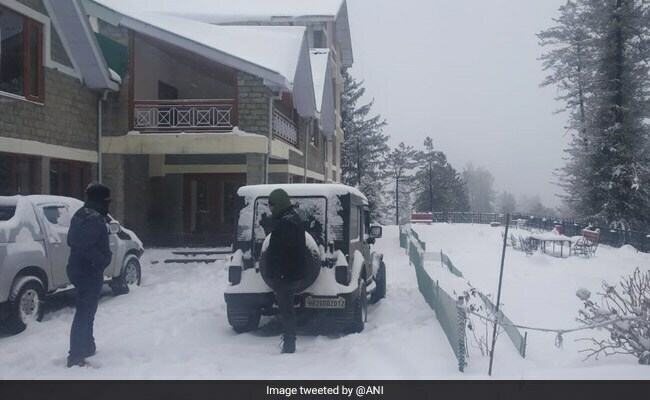 "High-altitude areas of Lahaul and Spiti, Chamba, Mandi, Kullu, Kinnaur, Sirmaur and Shimla districts have been experiencing moderate to heavy snow," the Met official said. Keylong in Lahaul-Spiti district was the coldest in Himachal Pradesh with a minimum of minus 14 degrees Celsius, while it was minus 6.2 degrees in Kinnaur's Kalpa, minus 1 degree in Manali and minus 2.4 degrees in Dalhousie. Shimla, which saw 6.7 cm snow, saw the night temperature at minus 0.8 degrees Celsius. Manali had 10 cm snow. Meanwhile, traffic movement beyond Dhalli, 10 km from Shimla, remained suspended since a large stretch of the Hindustan-Tibet Road was under a thick blanket of snow.